Andrea Vaughan was named the fourth head coach in program history on April 25, 2016 after being named interim head coach a week prior to the 2016 season. As interim head coach in 2016, Vaughan led the Hillcats to three straight Heartland Conference series wins for the first time since joining the league in 2014. She led the team to series wins over Texas-Permian Basin, Newman and Oklahoma Panhandle State. Following the success in Heartland Conference play, Vaughan had four student-athletes earn All-Heartland Conference honors, including three first-team selections. Ashleigh Stidman, Arika Araujo, and Morgen Blanchard were named to the first team while freshman Katelyn Gamble was a second-team pick. Prior to being named the head coach, Vaughan spent three seasons as the lead assistant for the RSU softball program serving as the pitching coach. In addition to directing the pitching staff, Vaughan ran the day-to-day, on-field softball operations and served as the recruiting coordinator for the Hillcats. She also worked as the third base coach and ran the team's strength and conditioning efforts. Vaughan came to the Hill in 2013 after spending eight years as the program director and head softball coach at Oologah High School where the Mustangs enjoyed tremendous success. OHS won the 2012 Oklahoma State 4A championship and the Verdigris Valley Conference championship with an overall record of 31-5. The team made a semifinal appearance at the state tournament in 2011 and made it to the quarterfinals twice during her tenure (2005 and 2010). Fourteen of Vaughan’s players at Oologah went on to play at the collegiate level and she coached 27 all-conference players, 12 all-region members, and four all-state award winners. Twice, Vaughan was named Region 3 Coach of the Year (2010 and 2012), while she also is a two-time Tulsa 7 Coach of the Year (2010 and 2011). In 2010, she was named the 4A East All-State Coach and honored as the 2012 Tulsa World All-Metro Coach of the Year. Vaughan enjoyed a standout collegiate career at Oklahoma City University, making three-consecutive trips to the NAIA National Tournament. The Stars won the NAIA National Championship in 1997, were second runner-up in 1998, and made it to the title game again in 1999. Vaughan, a right-handed pitcher, was a two-time Academic All-American at OCU. The Claremore, Oklahoma native helped the Claremore High School Lady Zebras to a state title during her senior season in 1994 and was named an Oklahoma All-State pitcher-Large East. Vaughan earned a Bachelor of Arts in Public Relations from OCU and earned a Master of Education degree in Sports Administration from East Central in 2014. She is married to Scott Vaughan and they have a son, Cameron, and a daughter, Quinn. Malori Moss begins her coaching career at her alma mater in August 2016 as an assistant coach. As an assistant coach, Moss will work with the outfielders, an area where she spent a majority of her time covering at the Diamond Sports Complex. She also will assist in the program's recruiting and fundraising efforts. Moss recently finished her two-year career with the Hillcats in 2016 playing in 89 career games in both the infield and outfield as a utility player making 79 starts. She tallied 49 hits in her tenure at RSU, including 16 extra-base hits. Known for her strong arm that could throw out runners from anywhere on the field, she tallied a career fielding percentage of .922. 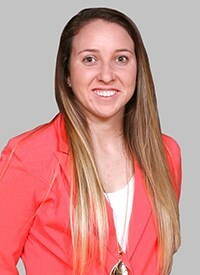 A native of Chico, Texas, Moss completed her Bachelor of Science in sport management from Rogers State in 2016. She was named the Outstanding Graduate of the sport management program in the School of Business and Technology. Chris Nakashima enters his first season as an assistant coach for the RSU softball program after completing his collegiate career for the RSU baseball team in 2018.